← Dear Tessa: 2 is almost here! 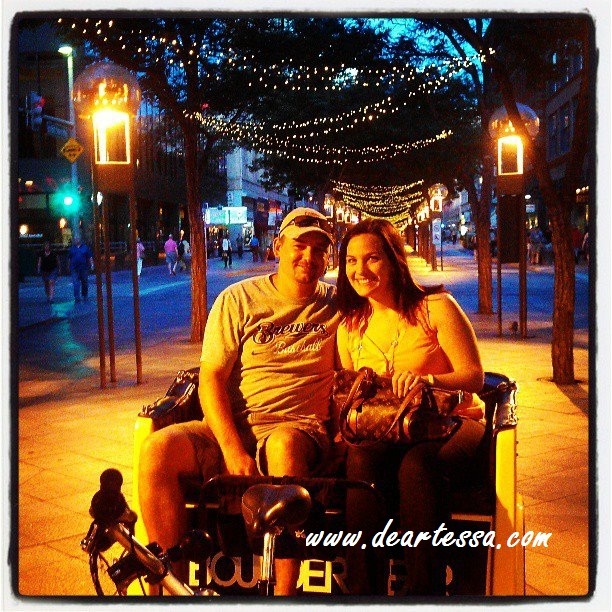 Dan and I recently attended the National Down Syndrome Congress Convention in Denver. 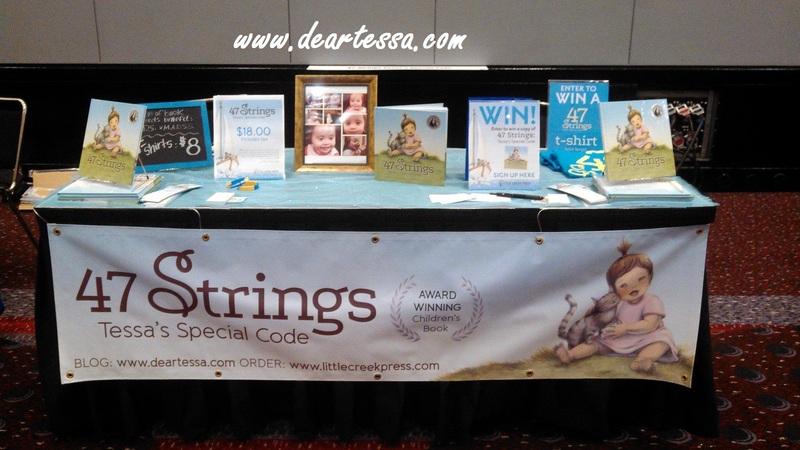 We were there as exhibitors for my book 47 Strings: Tessa’s Special Code. There was a bounty of people there for the convention…self advocates, families, doctors, organizations, businesses etc. I heard an amount of somewhere around 5,000 people attended. Due to working our table during our stay, I was unable to attend any seminars. We did not have the kids with us either so we also did not attend any activities or events. And I regret that. Because what I saw in the exhibitors hall could have only been an overflow of pride and excitement from the rest of the convention’s activities. There was a sense of togetherness that passed through everyone I met. We were all there for the same reason. For the first time in a long I felt like I could relate to several people at once. The night before we flew out we had just had a huge rush at the booth–actually the whole exhibitors hall was packed. When the time came to close up I looked at my table. It was empty. 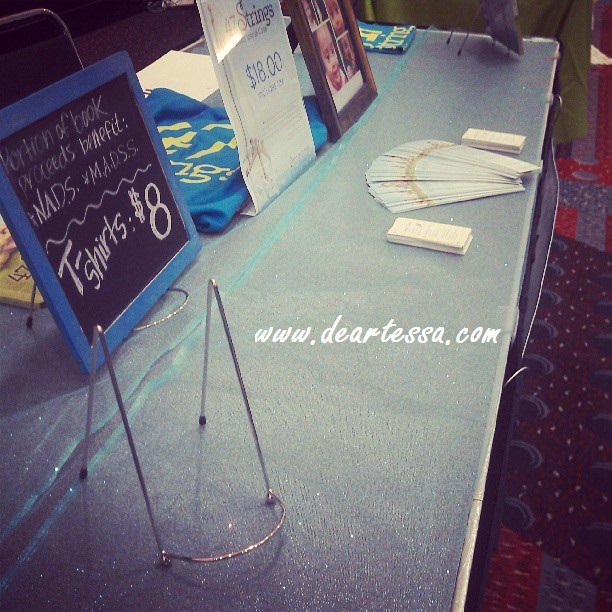 The were a few sparse business cards and bookmarks scattered, but not a book to be found. I found myself more emotional than I could control because I couldn’t believe how well we did and also because we were in the presence of so much love. One of the last books I sold was to a young family. In front of my table I watched a little girl of about four learn that her new baby brother was born with Down syndrome when her mom knelt down to read her daughter my book. The dad was teary eyed with his hand on his wife’s shoulder, but their daughter just smiled as big as life. I was a part of their moment. Right then I realized how privileged I am to be sharing my gift with others. I was humbled by how comforted children and adults were once they had a copy in their hands. And what I gathered from being at the convention was an intense feeling of euphoria. The world was right. Down syndrome can be frightening. Down syndrome can be upsetting or misunderstood. Down syndrome can be overwhelming. But for everyone who thinks that this is all that Down syndrome is…you are very sadly mistaken. I met a young woman named Ashley (with an entourage anyone would envy) who designs a successful clothing line for people like herself who have Down syndrome. I met two popular artists–one of which whose art has sold at times for a few thousand dollars. I met a diva princess named Kayla whose hair accessories were more fashionable than anything I had on. She was on HBO’s “Miss You Can Do It” pageant documentary and I just adore her. I met an eleven month old baby boy whose career in modeling was just beginning. Dan and I met several engaged couples, where both young adults had Down syndrome. They talked about their weddings wishes and dreams for families. I was in a place where having Down syndrome didn’t mean having limitations…none, in fact. The possibilities were in their hands and free to run with. I have never been more uplifted and excited. I have also never felt more compelled to tell everyone that Down syndrome is awesome, amazing, spontaneous, wondrous, uplifting, fabulous, beautiful and so on and on…and having said all of that, I gladly welcome every road bump along my path with sweet Tessa. If I hugged one crying parent, I hugged thirty; and at times I cried along with them. Because this life we live is real short, and being happy means letting go of what we thought we knew and living the life we were meant to have. I felt that same spirit in everyone there. We were brought together by our loved ones to a place where appreciating the very best things in life means doing it at a different pace, but not a lesser one. I think what our world needs is a little more perspective on how to be appreciative and to be surrounded by even a little bit of the happiness that crowded the streets of Denver in those three days. To those of you I met in Denver…THANK YOU. My cup runneth over.